Trump hails decision as "international victory", warns ICC against investigating US or Israel. Judges at the International Criminal Court (ICC) on Friday turned down a request to open a war crimes probe in Afghanistan, AFP reported. In 2016, prosecutors at the International Criminal Court (ICC) in The Hague said there were preliminary grounds to believe US forces committed war crimes in Afghanistan and at secret detention facilities elsewhere in 2003 and 2004. The ICC chief prosecutor, Fatou Bensouda, in late 2017 asked judges to give her permission to probe alleged war crimes and crimes against humanity in Afghanistan committed by the Taliban, Afghan government forces and international forces including US troops. The US has never joined the ICC and does not recognize its authority over American citizens, saying it poses a threat to national sovereignty. The ICC’s decision came a week after Bensouda's US visa was revoked over a possible probe involving American soldiers' in Afghanistan. 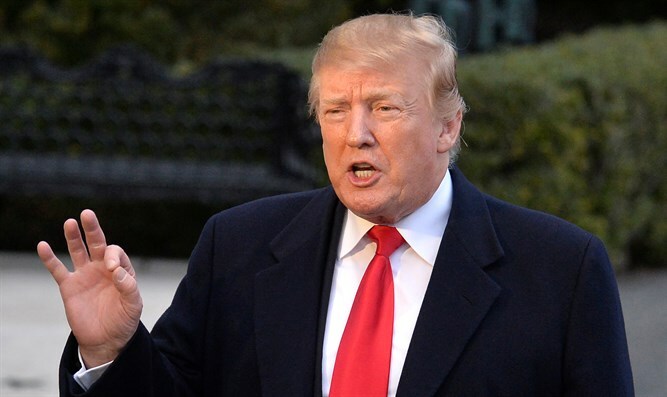 US President Donald Trump said on Friday, following the ICC’s decision, that it was a “major international victory”, while warning the court against trying to prosecute Israelis or Americans following a complaint by Palestinian Arabs for an ICC investigation of Israel. “This is a major international victory, not only for these patriots, but for the rule of law. We welcome this decision and reiterate our position that the United States holds American citizens to the highest legal and ethical standards,” Trump said in a statement quoted by Reuters.